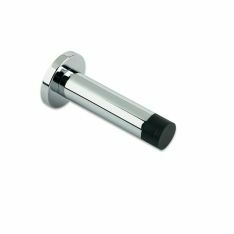 At Ironmongery Experts, we stock a varied assortment of door stops purposed with keeping your doors open in the home or office. Each style comes in several shapes and sizes, and we carry a door stop for every plastic, rubber, or metal finish imaginable. 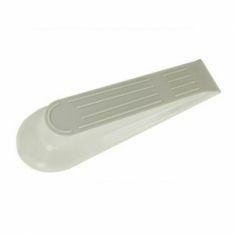 If you’re in the market for a standard door stopper, consider our selection of door wedges. These lightweight units are designed to keep a door from closing, and are capable of functioning when placed on carpet, tile, laminate flooring or otherwise; they also come in a few different colours to match the mood of your chosen environment. If you’re after a rubber door stop or a more permanent approach, you may be more interested in our range of floor door stops. These protect your walls from impact when the door is open too quickly or too widely, and can be doubled up with a plastic door wedge to keep the door entirely static. Available in polished brass, chrome, nickel, and stainless steel finishes, you’re sure to find a design that appeals to you. 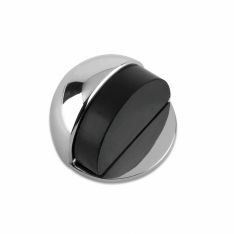 On the other hand, if you’d prefer a chrome door stop or something that affixes to the skirting board, our collection of skirting door stops might be right up your street. These come in various metal finishes as well, and you can even choose between rectangular, cylindrical, or spring-based models to suit your tastes and the style of your home. Regardless of which form you prefer, Ironmongery Experts is certain you’ll find something you can proudly place in your home, for both practical use and aesthetic value.